The Sweet Dreams Dreamatic 5' Adjustable Bed features a superb five-action motion which operates at the touch of a button. Complete with a supersoft supersoft mattress with Reflex® foam fillings that is covered in a removable, dry-clean-only cover in knitted fabric, this motorised bed has an optional massage unit. This model comes with a laminated beech slatted base. The Sweet Dreams Dreamatic 5' Adjustable Bed features a Superb, Five-action Motion which operates at the touch of a button and is available in Five Sizes: small single, single, small double, king size and super king size. 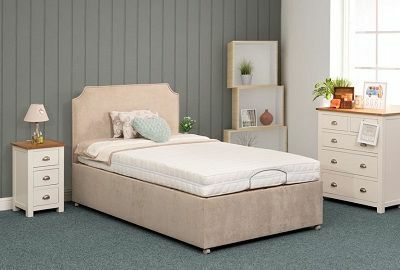 The Sweet Dreams Dreamatic King Size Adjustable Bed comes with a Laminated Beech Slatted Base that is available in Five Divan Options with a Choice of Drawer Storage. 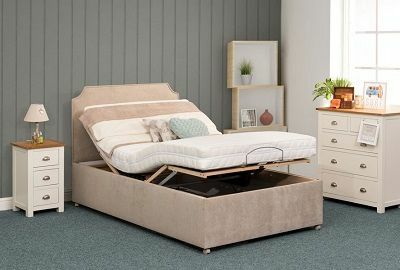 With the added reassurance of Free Delivery throughout Northern Ireland and Counties Monaghan, Louth and Dublin, this electric adjustable bed also benefits from a 1 Year Guarantee.